Demand for high purity steel is becoming stronger as quality demands for steel become higher. This is especially true for sulfur content, and there is now a need to make strict adjustments to the amount contained in the manufactured steel. 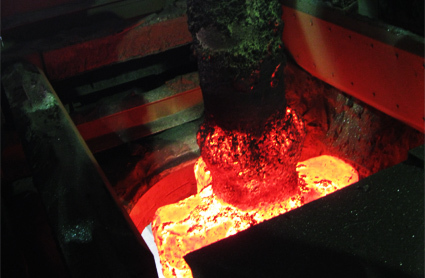 This process of removing impurities from molten metal in advance before charging it into a converter furnace is called hot metal preliminary processing. The KR Hot Metal Desulfurization System developed by Steel Plantech will achieve high-level desulfurization efficiency as well as contribute to a reduction of operating costs. Utilization of the KR Hot Metal Desulfurization System will achieve high-level desulfurization efficiency, curb operating costs and reduce processing time as well as allow high-capacity processing. Furthermore, it will also prove effective in reducing the amount of dust generated. 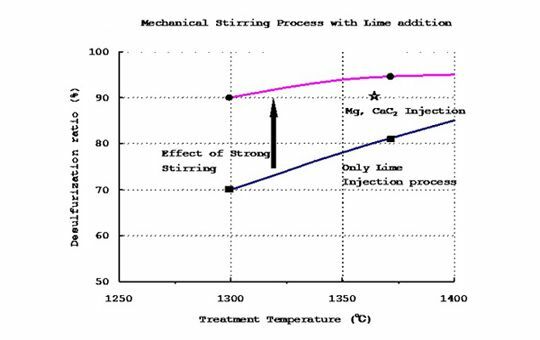 The KR Hot Metal Desulfurization System achieves roughly 20% higher desulfurization efficiency as compared to powder injection desulfurization. 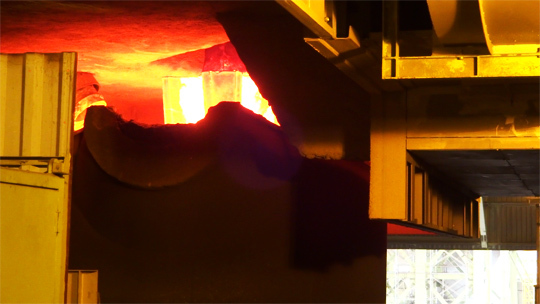 Processing time is less than 12 minutes, and the total cycle time is within the tap-to-tap times of converter furnaces. The free board of the hot metal ladle is between 0.7m and 1m. 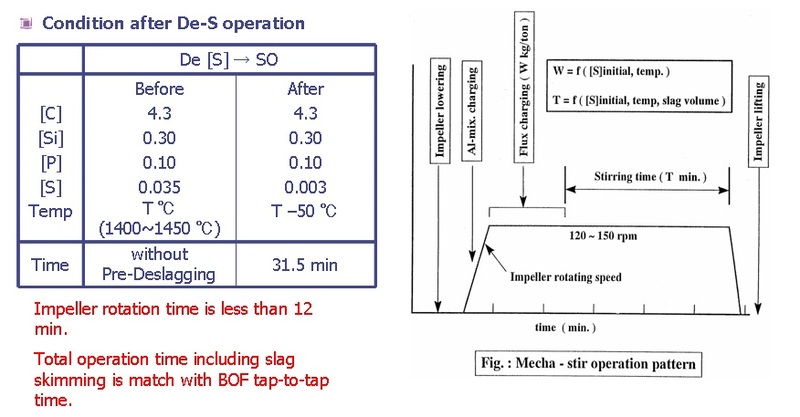 It is possible to keep the free board lower than the injection method (for desulfurization at the same level).